Well located in the center of Méribel close to shops, bars and restaurants this pleasant apartment sleeps up to four people. 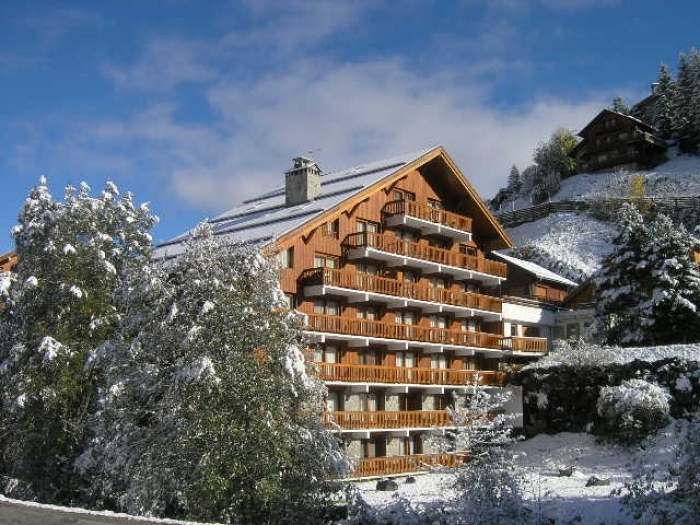 There is a ski shuttle bus stop in front of the residence and the slopes are just 100 metres. 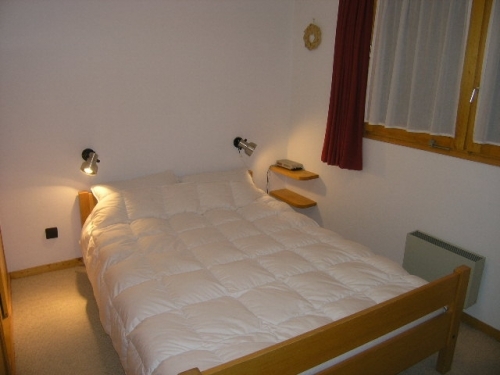 The accommodation comprises a living and dining room with sofa bed for two people. 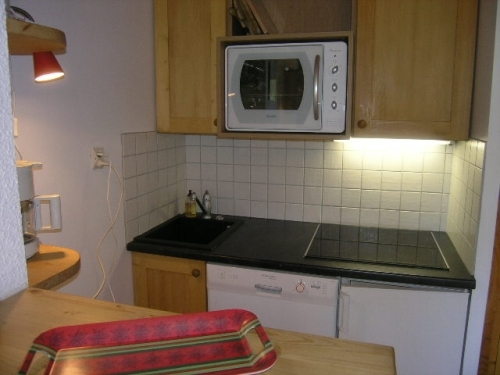 Kitchenette (with vitro-ceramic hob, oven, dishwasher...). 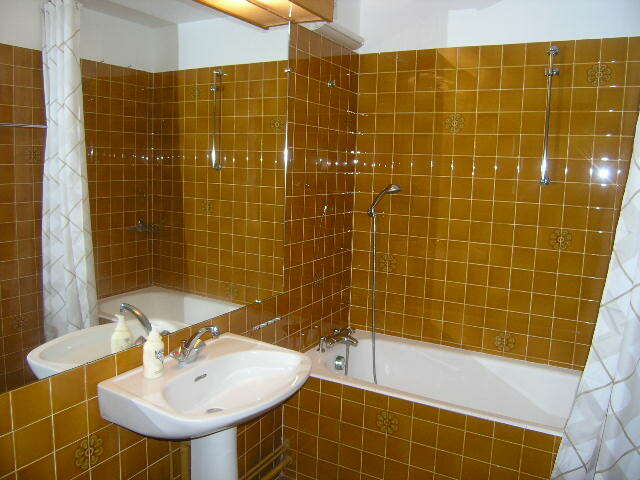 Double bedroom, bathroom and toilet. There is an elevator in the residence. Smoking is not permitted. Arrival 17.00 to 20.00 (supplement payable locally for late arrival). Departure time 10.00. Deposit paid on arrival (by card slip). 25% payable at time of booking. Balance payable minimum 30 days before departure. Arrival and departure day Saturday. 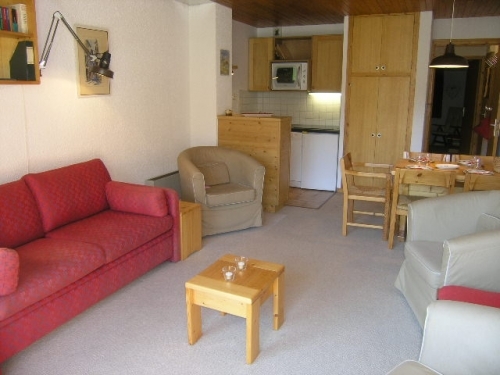 Final clean is not included so either leave the chalet as you find it or pay for cleaning locally. Linen and towels are available for hire (must be ordered at least 2 weeks before arrival). Cot hire 41€ for one week, 62€ for two. High chair 30€ for one week, 45€ for two. Push chair 52€ for one week, 78€ for two. Cot, high chair and push chair for one week 99€, 149€ for two. 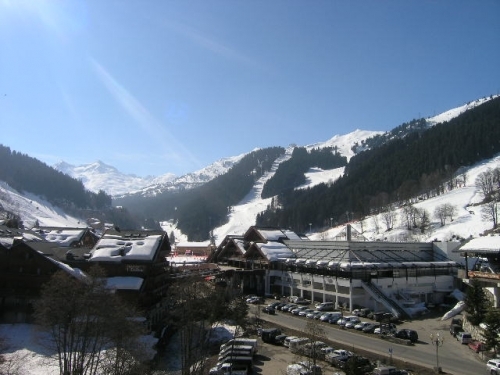 For favorable rates and pre-booking of Meribel ski passes, ski school, ski or snowboard and boot hire please ask for details - as much as -10% reductions available. Reasonable consumption of services, gas, water and electricity. Taxe de sejour payable locally. Cleaning if required 34€ per hour, 58€ for two consecutive hours (ask for details of time required to clean the chalet). Linen pack for one person (single bed) includes sheets, pillow case, two towels and tea towels 21€. Linen pack for one person (double bed) includes sheets, pillow case, two towels and tea towels 25€. Linen pack for two people (double bed) includes sheets, pillow case, two towels and tea towels per person 33€. Bed made on arrival 8€ per bed.